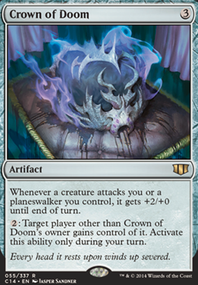 Whenever a creature attacks one of your opponents or a planeswalker an opponent controls, that creature gets +2/+0 until end of turn. Thank you sooo much PhotogenicParasympathetic! I run a non-U political deck (feat. Thantis, the Warweaver and Gahiji, Honored One and the like) and OHMYGOODNESS Pharika's gonna kill in that baby! Also love your name. That is all. 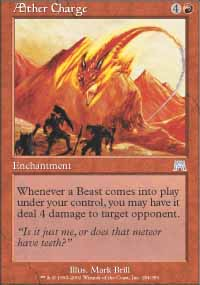 Lumbering Battlement : Drop it, exile your other ETB people then flicker it. 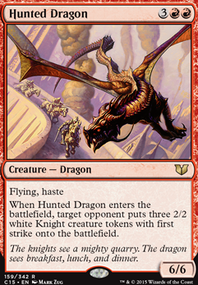 There's probably some obvious Worldgorger Dragon -esque combos to be found. With the bonus it gets and its base stats I think the CMC is just fine. 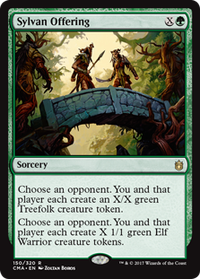 Unbreakable Formation : Call me greedy but with green having Heroic Intervention I wish the prime defensive color got this at 2 CMC. Eyes Everywhere : There's probably some fun abuse to be had when combined with owner-returning flickering; otherwise it faces stiff competition from Thassa, God of the Sea . 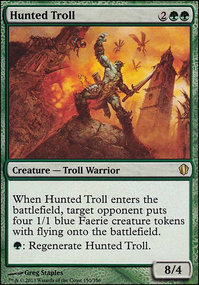 Non- you steal from will probably not have much trouble activating its ability again due ubiquity of "any color" mana rocks, although that's far less certain with decks containing 2 or less colors. 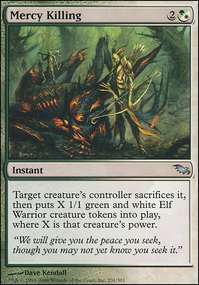 Electrodominance : To squeeze just a bit more discussion out of this card, I think it's neat that this also functions as a one-time mana filter due to the genericness of . 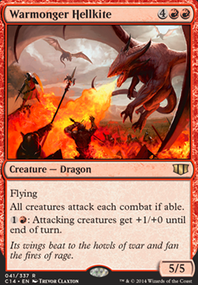 Cavalcade of Calamity: I kinda wish they just color shifted Raid Bombardment to mono- instead, since red tends to have so much +X/+0 going on. At least the art is cool. 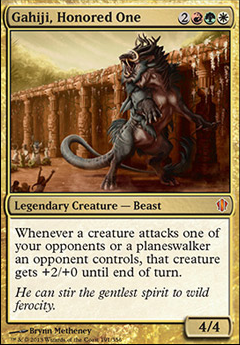 Persistent Petitioners: Ahahaha, oh yes, this is definitely how I want Advisor tribal to be flavored. A fine addition to the growing Relentless Rats family. Font of Agonies : Loving the design space here. In the right deck this can probably be an efficient source of removal too. 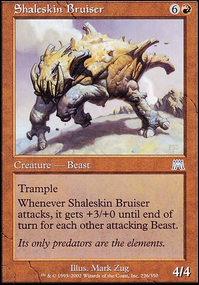 Guardian Project : Kinda surprised Beast Whisperer got a rival right away. 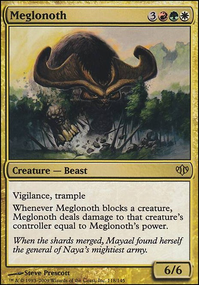 As far as singleton formats go, the it's a question of a body vs getting draws from cheating out creatures in addition to casting them. Incubation Druid : There's stronger dorks out there, but I think it makes a fine complement if you can get counters on it reasonably early. Bedevil : So I'm not a Putrefy fan but I'd still pick it over this if I had the choice, if only because the flexibility of the seems more valuable for the purpose of being able to more often react to threats at Instant speed over being able to target PWs. 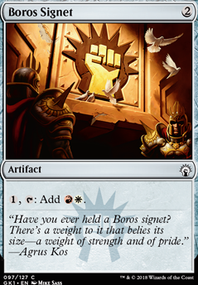 Still, this is something rakdos deserves and a fine choice when green isn't available. Cindervines : Aura of Silence , Gruul-style! 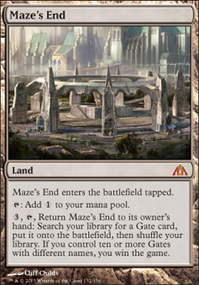 Neat for Vaevictis Asmadi, the Dire decks who want more non-ETB removal. Sunder Shaman : Not quite Trygon Predator but I think it's worth considering if you can't get that identity. PS. What was the deal with Ferocious suddenly showing up incognito? Ruric Thar, the Unbowed punishes people for casting spells. Gahiji, Honored One political tool and power boost for your own onslaught. Also works with the suggestions above. 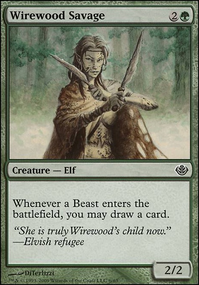 Marath, Will of the Wild is good at making tokens. Gahiji, Honored One makes tokens scary. 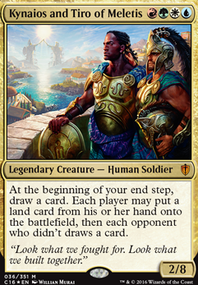 Samut, Voice of Dissent gives all your stuff haste which is good for vehicular deployment, not to mention the untapping works nicely with crewing vehicles. I forgot to mention earlier that a political card can also be cards that give a backhanded gift (ie Nin, the Pain Artist). Also, not listing every curse in Magic's history. Kederekt on Captain Crunch Has Done It Again! 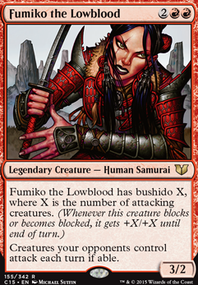 Courser of Kruphix, Garruk's Horde, Oracle of Mul Daya, Exuberant Firestoker, Sunseed Nurturer, Woolly Thoctar, Gahiji, Honored One. Food for thought.